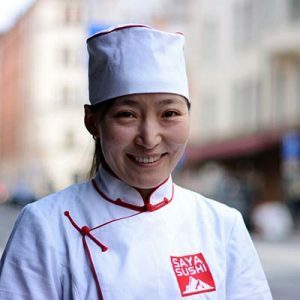 It feels great and meaningful to offer Stockholm’s healthy, fresh and affordable Asian food, says Tumenzaya Rydlund, one of two sisters who owns Saya Sushi. 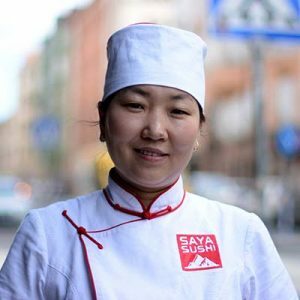 Our sushi is not served with big rice lumps, it is the topping that is the most important, like a big piece of salmon or avocado, she continues. Usually it’s any of the two sisters Tumenzaya or Tuvshinzaya that you find behind the pay desk. And yes, you may call them both Zaya. 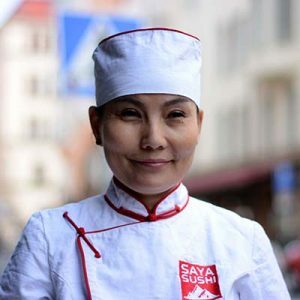 Tumenzaya, who comes from Mongolia, has also brought a piece of the Mongolian food tradition to her kitchen at Östermalm – dumplings. The small dough packages is a mix of the best from Mongolia and the Chinese cuisine from which dumplings originate. We cook them by hand, unlike many other restaurants in town. The service industry makes my heart warm. Making people happy and create a nice experience is my passion. My interests besides work is to play pool and dance. Favourite dish is our handmade dumplings. 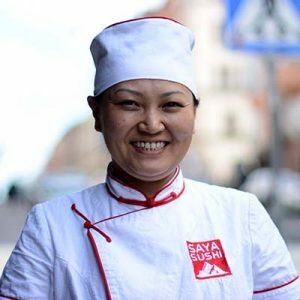 I have been working here since 2015, my favorite dish is our handmade dumplings with different fillings. I was born in the pig’s year and love Swedish pyttipanna. 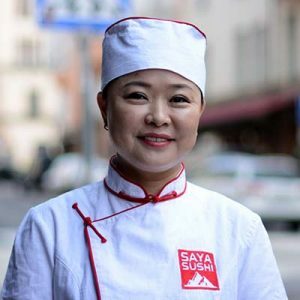 My great interest is food opened the doors to work here at Saya Sushi. My dream is to travel around the world and taste different dishes and to cook them. Personal favorites here at the restaurant are the vegetarian dumplings as well as salmon and lemon rolls. My Swedish favorite dish is fish soup. I have liked to cook since my childhood, so the step into the restaurant world was given to me. I like the Swedish food culture and the possibilities to eat healthy and organic food here. Among the restaurant’s dishes, bibimbap is my favorite. I love the Swedish nature and to sew clothes. Sushi is a favourite dish both for me and my daughters – especially with seared salmon. 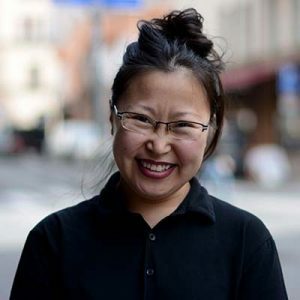 What I like more with Sweden? Bregott (margarine) – that’s something that we all here at the restaurant loves! I love Sweden – the sea, the lakes, the weather, the people, the Swedish culture and the food, especially meatballs. 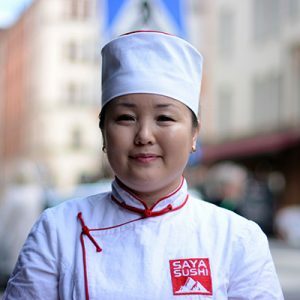 I have been working here since 2015 and my favorite dish here is Saya rolls and bibimbap with beef. 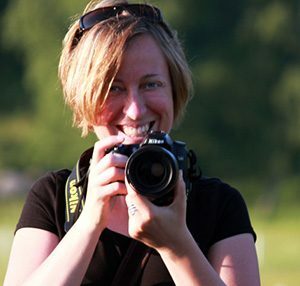 I enjoy travel, discover new cultures and taste new exciting food, photography and graphic design. I love sushi, both to eat and watch as it is such a beautiful dish! I love helping others and making people happy! My interests are reading, writing and taking a walk. My Swedish favorite dish is meatballs and potatoes gratin. 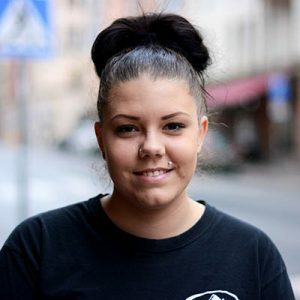 I love everything here in Sweden, it’s a dream country for me.